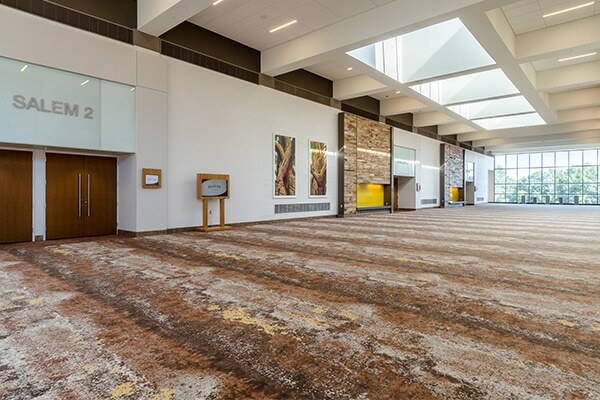 One of the largest meeting facilities in North Carolina, the Benton Convention Center offers groups a convenient central location. During the $20 million reinvention, the Benton’s features and amenities were further enhanced. Now showcasing 105,000 sq. 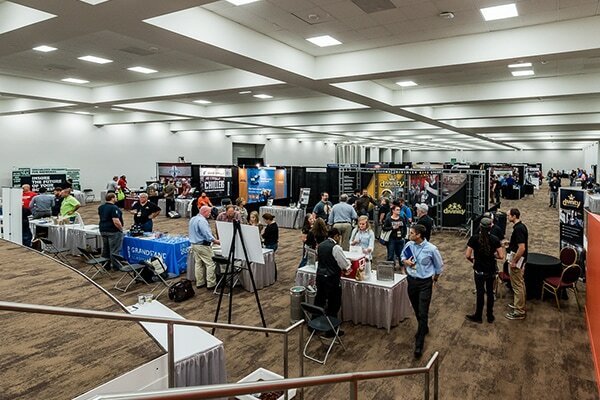 ft. of flexible meeting space – exhibit halls, breakout rooms, reception areas, three ballrooms, boardroom. 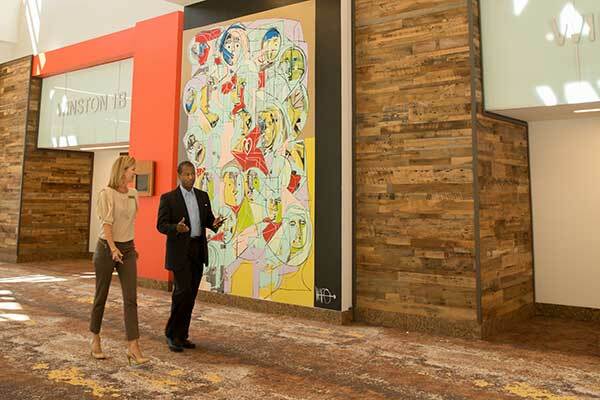 The reinvention positively impacted the Main Level by adding an additional 5,000 sq. ft. of pre-function area adjoining Winston Hall. The Lower Level’s 50,000 sq. 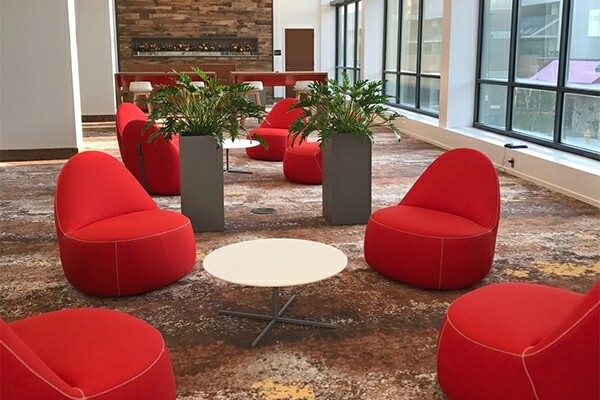 ft., multi-functional space now features a carpeted ballroom and conference rooms. Key design elements created more open, flexible breakout meeting space. Significant structural, design and technology upgrades were added to the interior and exterior of the building. 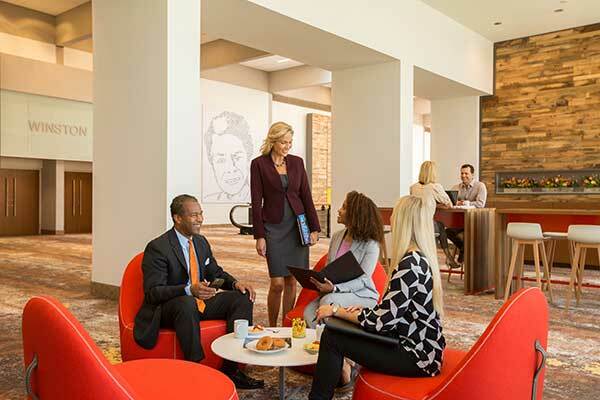 Complimentary high-speed wireless Internet for groups and attendees. 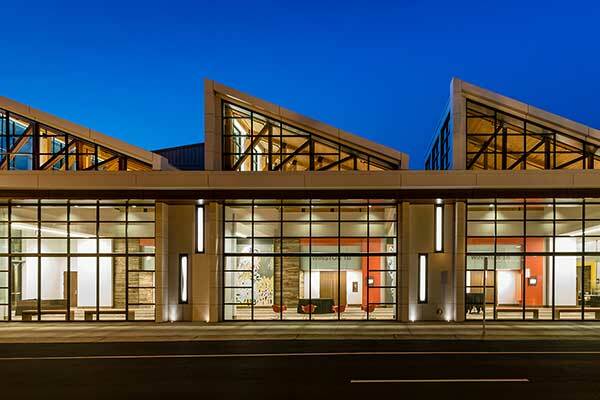 Incorporated architectural nods to Winston-Salem’s historic arts, tobacco and textile roots. Local artists and artisans were commissioned to create works of art; now on display throughout the facility. Click to view the Public Art Project. New windows and skylights give the venue a contemporary, open and inviting aesthetic. Connected to the Marriott, Embassy Suites and parking decks via climate-controlled walkways. The combined complex maintains 175,000 sq. ft. of meeting space. 461 total guest rooms and suites.